Well, as promised here is a piece of pencil art from Worlds End – Volume 2 – A Hard Reign's Gonna Fall. 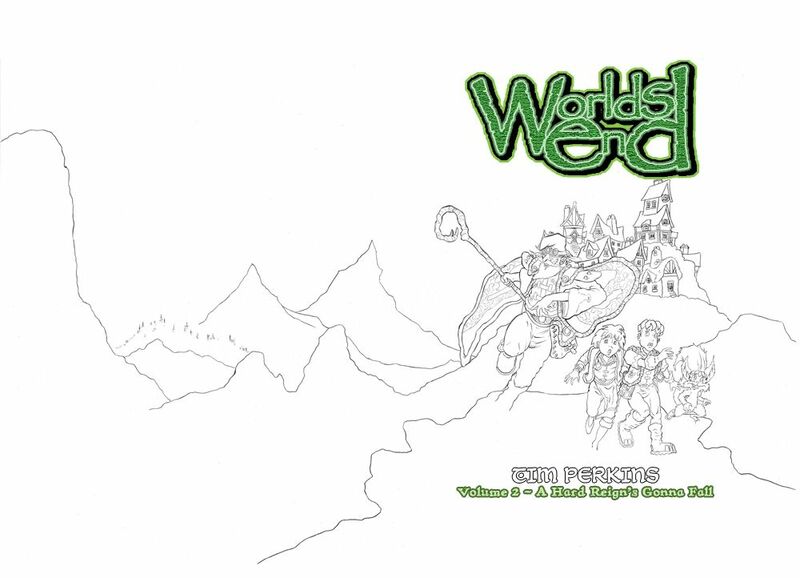 This is the final pencil art for the cover and shows Gweldar, Geek, Ralf and Zephol yet again on the run, but as for whom they are running away from - well. that's something for another time. If you want to know what happens to our heroes you'll have to wait to pick up your copy of the book upon publication. Check back soon for more updates and more artwork.